First and foremost it is strongly recommended that you hire a professional person to inspect the home. Secondly some provinces require sellers to complete a disclosure form revealing everything known about their property. Home sellers are required to indicate any significant defects or malfunctions existing in the home's major systems. A checklist specifies interior and exterior walls, ceilings, roof, insulation, windows, fences, driveway, sidewalks, floors, doors, foundation, as well as the electrical and plumbing systems. The form also asks sellers to note the presence of environmental hazards, walls or fences shared with adjoining landowners, any encroachment of easements, room additions or repairs made without the necessary permits or not in compliance with building codes, zoning violations, citations against the property and lawsuits against the seller affecting the property. Also look for settling, sliding or soil problems, flooding or drainage problems. People buying a condominium must be told about covenants, codes and restrictions or other deed restrictions, if the homeowners association has any authority over the subject property and ownership of common areas with others. Be sure to ask questions about anything that remains unclear or does not seem to be properly addressed by the forms provided to you. Different sellers price houses very differently. Some deliberately overprice, others ask for pretty close to what they hope to get and a few (maybe the cleverest) under price their houses in the hope that potential buyers will compete and overbid. A seller's advertised price should be treated only as a rough estimate of what they would like to receive. If possible try to learn about the seller's motivation. For example, a lower price with a speedy escrow may be more acceptable to someone who must move quickly due to a job transfer. 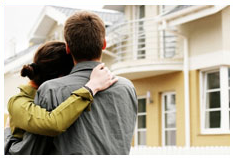 People going through a divorce or are eager to move into another home are frequently more receptive to lower offers. Some buyers believe in making deliberate low-ball offers. While any offer can be presented to the seller, a low-ball offer often sours a prospective sale and discourages the seller from negotiating at all. And unless the house is extremely overpriced, the offer probably will be rejected anyway. Before making an offer, also investigate how many comparable homes have sold for in the area so that you can determine whether the home is priced right. Question 5: What is title insurance? In addition, the policy provides protection in an unlimited amount against costs and expenses incurred in defending the insured estate or interest. Before it issues a title policy, the title insurance company performs, or has performed for it, an extensive search, examination and interpretation of the legal effect of all relevant public records to determine the existence of possible rights, claims, liens or encumbrance that affect the property. However, even the most comprehensive title examination, made by the most highly skilled attorney or lay expert, cannot protect against all title defects and claims. These are commonly referred to as the "hidden risks." The most common examples of these hidden risks are fraud, forgery, alteration of documents, impersonation, secret marital status, incapacity of parties (whether they be individuals, corporations, trusts or any other type), and inadequate or lack of powers of REALTORS® or fiduciaries. Some other hidden risks include various laws and regulations that create or permit interests, claims and liens without requiring that they first be filed or recorded in some form so that the potential buyers and lenders can find them before parting with their money. Question 6: What steps should I take when looking for a home loan? Question 7: Is it possible to negotiate interest rates? Compare the mortgage charts published in most newspapers. Occasionally some lenders are willing to negotiate on both the loan rate and the number of points. This isn't typical among many of the established lenders who set their rates. Nevertheless, it never hurts to shop around, know the market and try to get the best deal. Always look at the combination of interest rate and points and get the best deal possible. The interest rate is much more open to negotiation on purchases that involve seller financing. Generally, these are based on market rates but some flexibility exists when negotiating such a deal. Question 8: Is it better to buy a new home or a resale? Sales price increases in either type of housing are strongly tied to location, growth in the local housing market and the state of the overall economy. Some people feel that buying into a new-home community is a bit riskier than purchasing a house in an established neighbourhood. Future appreciation in value in either case depends upon many of the same factors. Others believe that a new home is less risky because things won't "wear out" and need replacement. Question 9: Fixer-Uppers - Are they good or bad? Distressed properties or fixer-uppers can be found everywhere. These properties are poorly maintained and have a lower market value than other houses in the neighbourhood. It is often recommended that buyers find the least desirable house in the best neighbourhood. You must consider if the expenses needed to bring the value of that property to its full potential market value are within your budget. Most buyers should avoid run-down houses that need major structural repairs. Remember the movie "The Money Pit?" Those properties should be left to the builder or tradesman normally engaged in the repair business. Question 10: Is there a good "return" for my efforts? Remodelling a home improves its liveability and enhances curb appeal, making it more saleable to potential buyers. Some of the popular improvement projects are updated kitchens and baths, enlarged master bedroom suits, home-office additions and increased amenities in older homes. The resale market is often difficult because you are competing with new construction. You need to give your home every competitive advantage you can if you are selling an older home. Home offices are a relatively new remodelling trend. Adding one to a house often recoups 58 percent of the costs, according to a survey found in a report called "Cost vs. Value Report" in Remodelling Magazine. Question 11: When buying a home how much does my real estate REALTOR® need to know? 1. 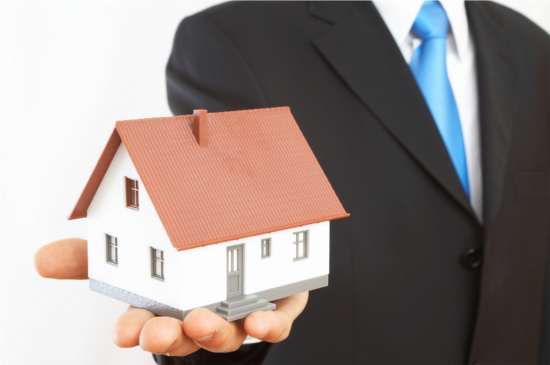 In a traditional relationship, real estate REALTORS® and brokers have a fiduciary relationship to the seller. 2. Dual agency exists if two REALTORS® working for the same broker represent the buyer and seller in the same transaction. 3. A buyer can hire a REALTOR® who will represent their interests exclusively.